Philip Zimbardo is an influential psychologist best-known for his 1971 Stanford prison experiment. Many psychology students may also be familiar with his psychology textbooks and the Discovering Psychology video series often used in high school and psychology classrooms. Zimbardo is also the author of several notable books including The Lucifer Effect. Zimbardo is also the founder of the Heroic Imagination Project, a non-profit organization aimed at understanding and promoting everyday heroism. 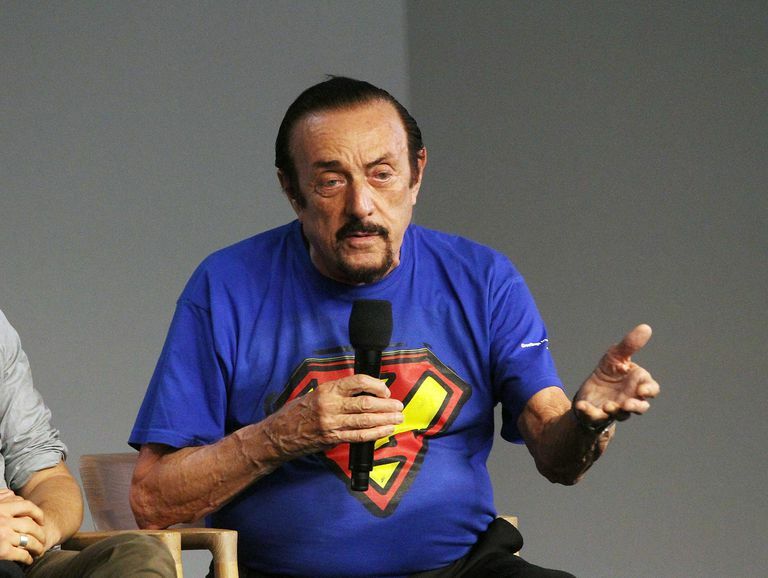 Philip Zimbardo was born on March 23, 1933, in New York City. He attended Brooklyn College where he earned a B.A. in 1954, triple majoring in psychology, sociology, and anthropology. He then went on to earn his M.A. in 1955 and his Ph.D. in 1959 from Yale University, both in psychology. He taught briefly at Yale before becoming a psychology professor at New York University, where he taught until 1967. After a year of teaching at Columbia University, he became a faculty member at Stanford University in 1968 and has remained there since. Philip Zimbardo is perhaps best known for the Stanford Prison Experiment, conducted in the basement of the Stanford University psychology department in 1971. The participants in the study were 24 male college students who were randomly assigned to act either as "guards" or "prisoners" in the mock prison. The study was initially slated to last two weeks but had to be terminated after just six days because of the extreme reactions and behaviors of the participants. The guards began displaying cruel and sadistic behavior toward the prisoners, while the prisoners became depressed and hopeless. Since the famous prison experiment, Zimbardo has continued to conduct research on a variety of topics including shyness, cult behavior, and heroism. He has an authored and co-authored numerous books, including some that are widely used in university-level psychology courses. Some people may recognize him as the host of the Discovering Psychology video series, which has aired on PBS and is often used in high school and college psychology classes. In 2002, Zimbardo was elected president of the American Psychological Association. After more than 50 years of teaching, Zimbardo retired from Stanford in 2003 but gave his last "Exploring Human Nature" lecture on March 7, 2007. Today, he continues to work as the director of the organization he founded called the Heroic Imagination Project. The organization promotes research, education and media initiatives designed to inspire ordinary people to act as heroes and agents of social change. Philip Zimbardo’s Stanford Prison Experiment remains an important study in our understanding of how situational forces can influence human behavior. The study became a topic of interest recently after the reports of the Abu Ghraib prisoner abuses in Iraq became public knowledge. Many people, Zimbardo included, suggested that the abuses at Abu Ghraib might be real-world examples of the same results observed in Zimbardo's experiment. Zimbardo has also served as an influential figure in psychology through his writings as well as his long teaching career. Gerrig, R., & Zimbardo, P. G. (2010). Psychology and life (19th ed.). Boston, MA: Allyn & Bacon. Zimbardo, P. G. (1972). The Stanford Prison Experiment a Simulation Study of the Psychology of Imprisonment. Philip G. Zimbardo, Inc.
Zimbardo, P. G. (1977/1991). Shyness: What it is, what to do about it. Reading, MA: Perseus Press. Zimbardo, P. (2007). The Lucifer Effect: Understanding How Good People Turn Evil. New York, NY: Random House. Zimbardo, P. G., & Boyd, J. N. (2008). The Time Paradox. New York: Free Press, Simon & Schuster. While Zimbardo's best-known experiment took place decades ago, its impact is still felt on psychology today. The images of torture and prisoner abuse that emerged from the Iraq prison known as Abu Ghraib echoed the notorious events that took place in Zimbardo's infamous experiment. While the Stanford Prison Experiment has been criticized for its ethical problems, it offered important insights into the darker side of human nature. Lovaglia, MJ. Knowing People: The Personal Use of Social Psychology. United Kingom: Rowman & Littlefield Publishers, Inc; 2007. Zimbardo, PG. A Simulation Study of the Psychology of Imprisonment Conducted at Stanford University. The Stanford Prison Experiment. 2009. The Psychology of Heroism: Are Heroes Born or Made?